Allan Walker, Ph.D. travels as an Evangelist, Bible Teacher and Singer in churches and conferences. 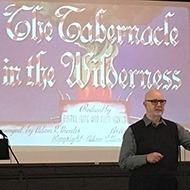 He was ordained into the ministry in 1980 and has worked in all facets of local church ministry including pastor, associate pastor, children's pastor, worship leader and church board member. Allan has a Ph.D. in Biblical Prophecy from Christ's College in Cocoa, FL. Walker has ministered in numerous local churches and seminars across the country and has appeared on radio and TV broadcasts. He has given presentations on the persecuted church at Christ for the Nations in Dallas, TX. He has also done teaching and evangelism in Honduras and in Chiapas, Mexico. Allan retired from sixteen years with The Voice of the Martyrs and formerly served there as the Manager of Reader Services. 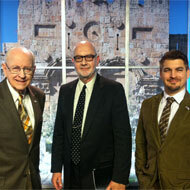 Allan has been a guest of Dr. David Reagan on Lamb and Lion's weekly television program called "Christ in Prophecy." This program is broadcast nationally on six Christian networks which combined have access to 109 million homes in America. And through the satellite systems of some of these networks, they have access to every nation in the world. 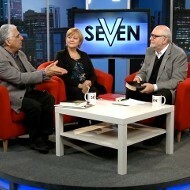 The program deals with the prophetic significance of national and international events. Allan is a member of the Pre-Trib Study Group founded by Dr. Tim LaHaye. He has been a speaker and provided music for the Mid-America Prophecy Conference in Tulsa, OK. He is open for church meetings throughout the USA. Contact us today for more information about scheduling a presentation at your church or conference. Study Resources Available for Free Download.